Do you live in Ochopee? 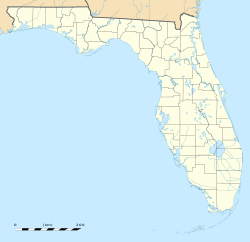 Ochopee is an unincorporated community in Collier County, Florida, United States.It is located to the east of the intersection of US 41 and State Road 29, near Carnestown. The community is part of the Naples–Marco Island Metropolitan Statistical Area. The community got its name when a visitor to the general store asked the owner what the place was called. A native man was trading in the store that day so the owner asked him what was the Seminole word for farm. He replied, "O-Chopp-ee". Ochopee began as a small one family tomato farming community in the early 1920s. James Gaunt bought 240 acres (97 ha) of land along U.S. Highway 41 for $100 per acre, and started with only army tents. A community called Ochopee grew up around Gaunt's tomato farm. After the original Post Office burned down, residents used an old storage shed to house mail, which became the smallest post office in the nation. It continues as an active post office and sometime tourist attraction. The original farm and settlement were gradually absorbed by the federal government as part of a movement to conserve the Everglades. A few small businesses remain, along with the headquarters of the Big Cypress National Preserve. Jeff Whichello, a native of the area, has written a book about his childhood called What Happened to Ochopee?